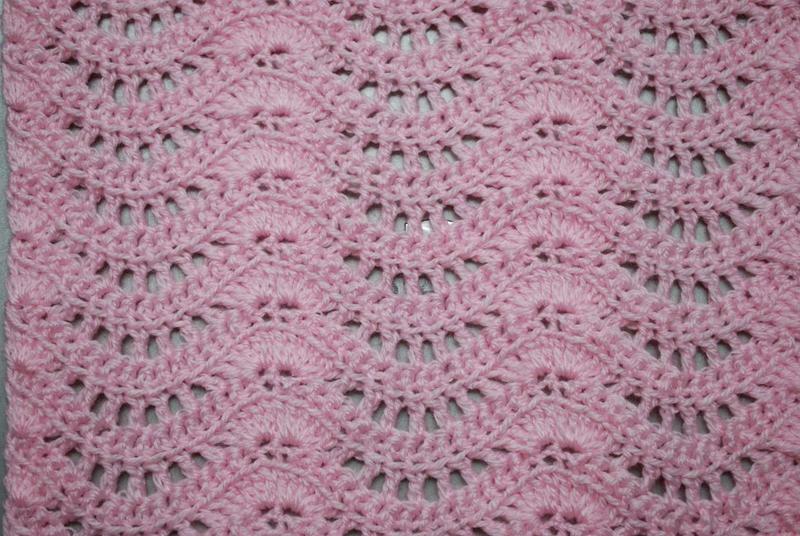 I love knit feather and fan and many patterns have tried over the years to look like that but in crochet but have failed. This one does it and im in love with it, it's very easy. I found it on Ravelry, you can do a thin scarf, wider scarf, wrap, blanket etc. 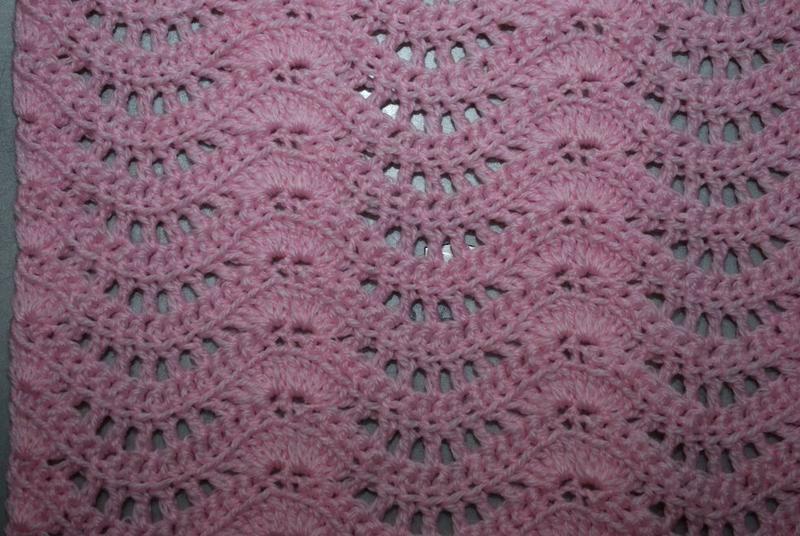 I took a few close ups of the scarf Im working on so you could see it. Be sure to look at the projects page on Ravelry , the pictures are great. Beautiful! & it does look knitted. Thank you all for taking the time to say such kind things! Very pretty! Since I'm on a scarf kick, I've printed it out so that I can pretend to be a knitter for a while. I'm wondering: If you did yours in worsted weight yarn, about how wide was the scarf? Because I like fairly skinny scarves and may have to buy some skinnier yarn. 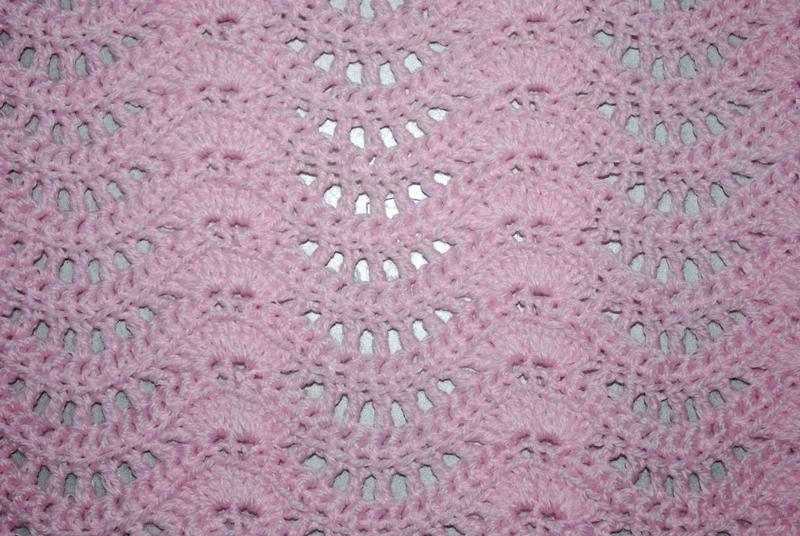 I did the wider version with very light/baby worsted weight. You can do it in worsted quite easily and do the thin version starting with 34 instead of 51. Look at the Rav projects page. You can see the smaller one made with WW and get an idea. Lovely, just lovely. Nice work.